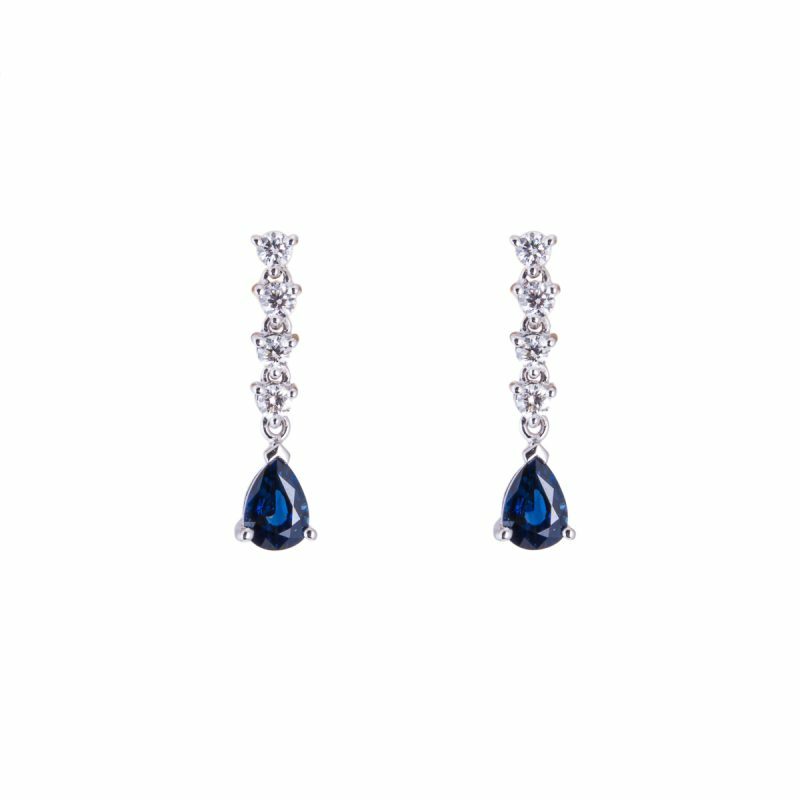 A matched pair of pear shaped sapphires, each held in a secure, 18ct white gold V-point setting with a further two claws to emphasise their elegant profile. 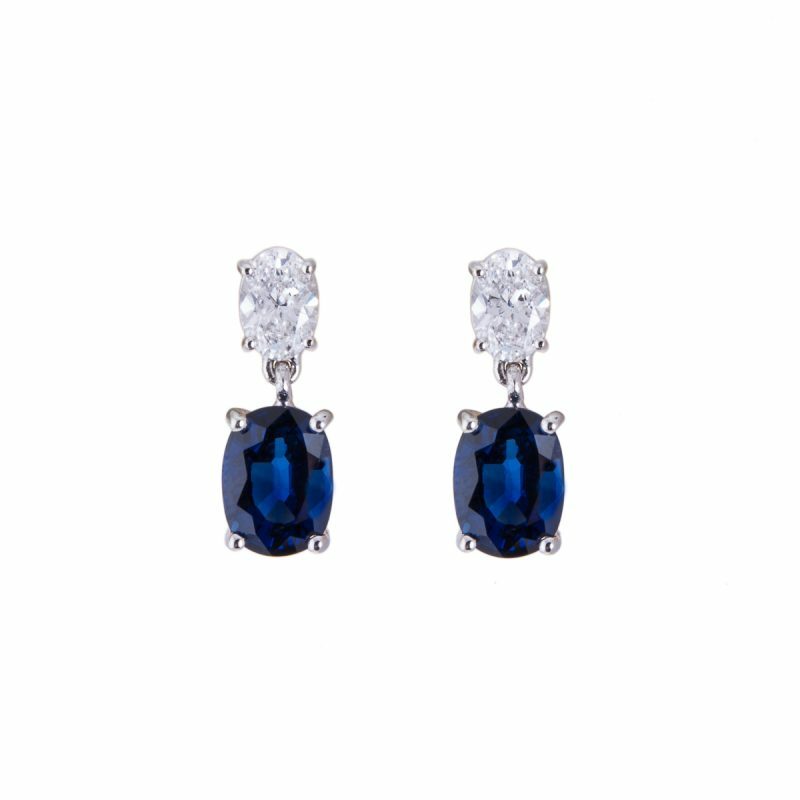 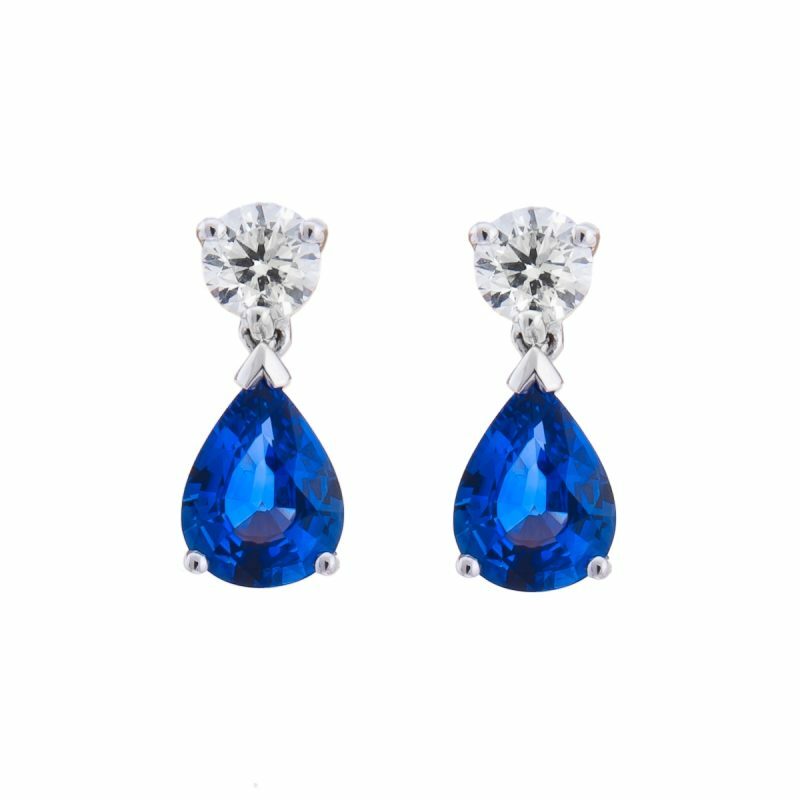 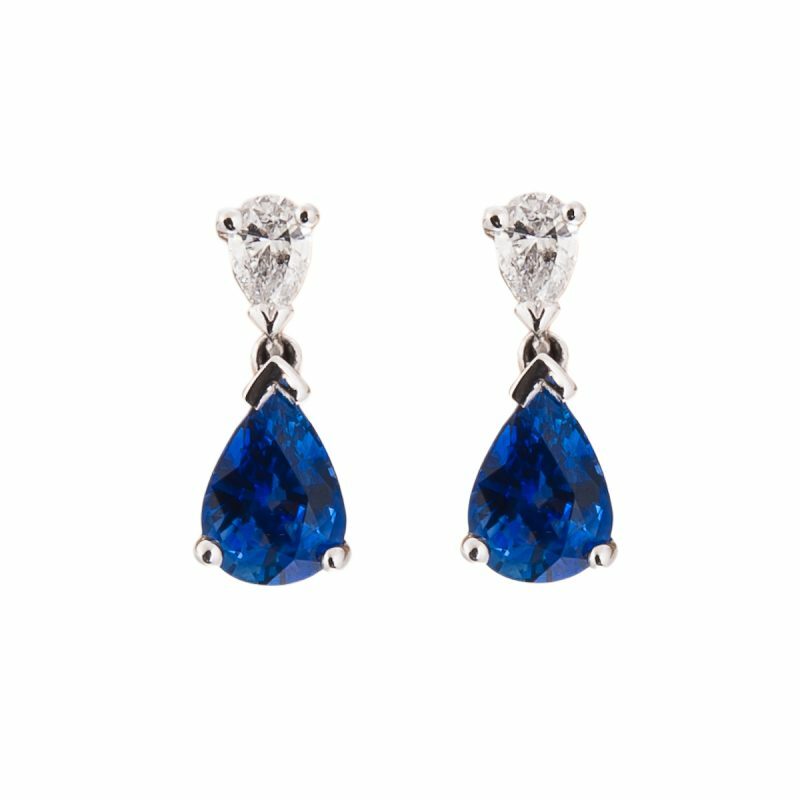 Each stone is echoed by a mirror image in sparkling diamonds. 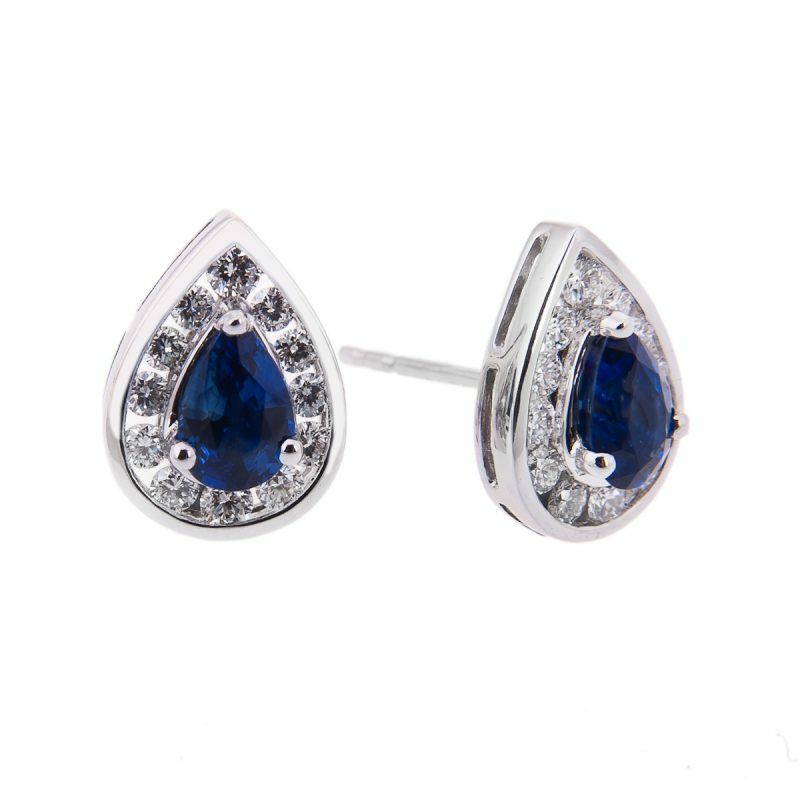 An elegant alternative to the classic stud earring.